This post is to just give you an update on what’s been working, new updates to my video marketing products, and client projects. These can hopefully help give you some ideas on what you can do when it comes to more ways of using video in your business. Client Projects – I’ve been creating some new styles of videos that are really pulling well in 2011. Unstoppable Affiliate is a long video sales letter, mirroring the long sales letter word for word. Raise Your Rank is a short video promo, but that has the text of the entire voice over throughout the video. Here are some other client project styles to view and see if they can spark some ideas for you. InsaneMarketing.net with a movie trailer “hard hitting promo” style. Eproneur.com has more “professional business” feel to it. What’s Been Working – I would recommend looking into this video sales letter style approach, because I’ve added a new twist on it, and it WORKS! You can see both twists at work in the unstoppableaffiliate.com video. Rather than just plain text, I have a certain color theme, thicker fonts, use motion for the text to come in an out (in some slides) and added images to keep changing the flow visually. In OptimizeYourVideo, I cover this from A-Z including new Fill-in-the-Blank Video Sales Letter Templates. You can see how our customers can access our Video Sales Letter clickable flowchart where they can click on any of the links to get the content in step-by-step fashion. The main video content and video overview of our Optimize Your Video membership has been updated to reflect the new changes. 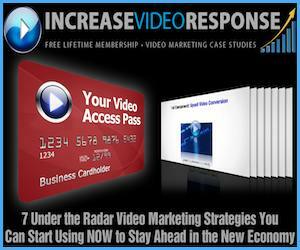 – We combined training sections where now “Video Marketing” and “Video Marketing Syndication” is now one section. – We added 3 clickable flowcharts that are at the core of video marketing and the most requested. Optimize Your Video Updates – You can see all the updates below that I’ve added ever since disappearing in April. Customers get access to all this for if they join. Pretty cool, right? Using More WordPress and “Feeder” Products – I’ve also been working on a new marketing funnel with Optimize Your Video. I created an alternative version of Optimize Your Video using the OptimizePress wordpress theme. I did this because we are going to be creating feeder products soon, which are basically mini-products from our membership. On that site, you’ll see I already have “mini sales pages” for each section, along with the video at the top, so when it comes time to it, it’s just a copy and paste job. Remember that you can get full access to Optimize Your Video by going to webvideomarketing.com/optimize-your-video including all the updates above.